Let the beauty of your skin reflect your inner youth. Hyaluronic acid (HA) is a naturally occurring molecule. Much like a sponge, its primary function is to bind and absorb water, which creates volume in the face. In this way, Hyaluronic acid can be thought of as the body’s internal moisturizer. But, as we age, HA diminishes, which contributes to the presence of lines and folds.TEOSYAL® injectable gels work to correct this by restoring hyaluronic acid in your skin, helping to diminish wrinkles and nasolabial folds. 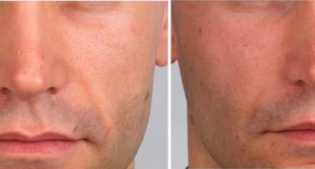 TEOSYAL® dermal filler is a nonsurgical, physician-administered treatment for nasolabial folds and other facial wrinkles. Using a fine needle, your healthcare professional eases hyaluronic acid(HA) under the skin to fill the soft tissue of the dermis. This adds volume and diminishes the appearance of wrinkles and nasolabial folds instantly. 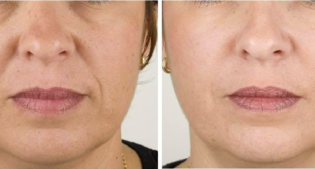 Filler can be used to rejuvenate and enhance cheeks, lips, tear troughs, jawlines and chins, for a more youthful appearance.